May ('ハルカ Haruka) is a young energetic Pokémon Coordinator currently traveling through various regions and competing in Pokémon Contests. She started her journey traveling through the Hoenn region accompanying Ash and Brock, along with her little brother Max. 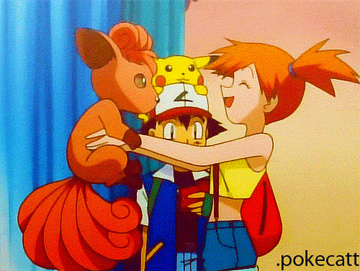 When Ash and Brock leave for Sinnoh, she goes to Johto alone without Max. She appears in a few episodes of Pokémon Diamond and Pearl: Battle Dimension, where she traveled to Sinnoh to enter the Wallace Cup.